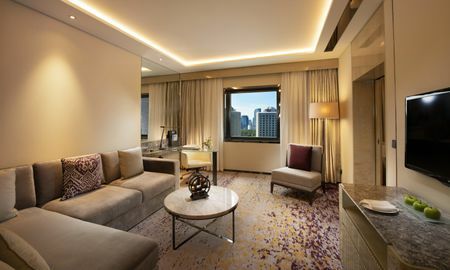 The Kempinski Hotel Beijing Lufthansa Center is an oasis of luxury in the heart of the fabulous Beijing. It is characterised by excellent and outstanding services to offer guests a unique experience. 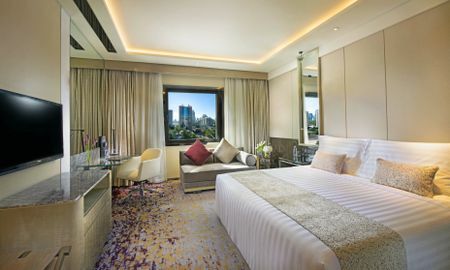 Its 480 luxury rooms and suites have been designed to ensure the maximum level of five-star comfort. From their windows, a beautiful panorama over the Liangma River and the city of Beijing can be enjoyed. The 'Pulse' Health Club is a modern space where guests can relax, rejuvenate and access the fitness centres, or choose among a variety of Chinese massages. In order to keep fit, sports activities can be played outdoors such as squash and tennis. The Kempinski Hotel Beijing Lufthansa Center has eight restaurants and bars, where experienced chefs will show their culinary skills in front of the visitor's eyes. The Kempinski Hotel Beijing Lufthansa Center's aim is to make delicious dishes for all tastes, such as Italian, German and Chinese traditional meals or homemade cakes. 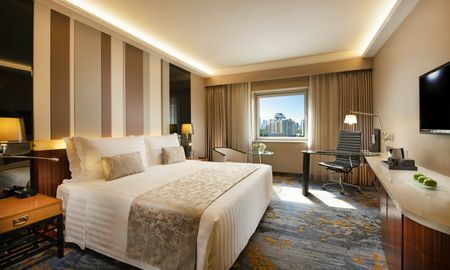 This stunning hotel is very close to a big shopping mall and to an international medical centre, for any kind of need. The Kempinski Hotel Beijing Lufthansa Center rises in the North eastern part of Beijing, in the heart of the Diplomatic District. Beijing Capital International Airport and the Forbidden City are just 20 minute drive from the hotel. Other attractions can be reached catching the subway line no. 10 in front of the hotel. It is our great pleasure to inform you that we have commenced our long awaited renovation project, which will completely transform our guest room product and many of our public spaces, bringing our hotel back to a state of modern elegance and luxury. We thank you for your patience and understanding during this time of progress and for the work that is done for your future comfort at the Kempinski Hotel Beijing Lufthansa Center. We trust you will have a pleasant and comfortable stay with us and ask that you do not hesitate to reach out to any member of our team if there is anything we can assist you with during your stay.